This is a test of my early birthday present, yet another water proof camera. I don’t merely need a camera that fights off water. I need a camera that fights off the salty brine residue. The test was to take this portrait of the lighthouse on Hospital Point in Beverly. This is a big step up from the go-pro I had last season. 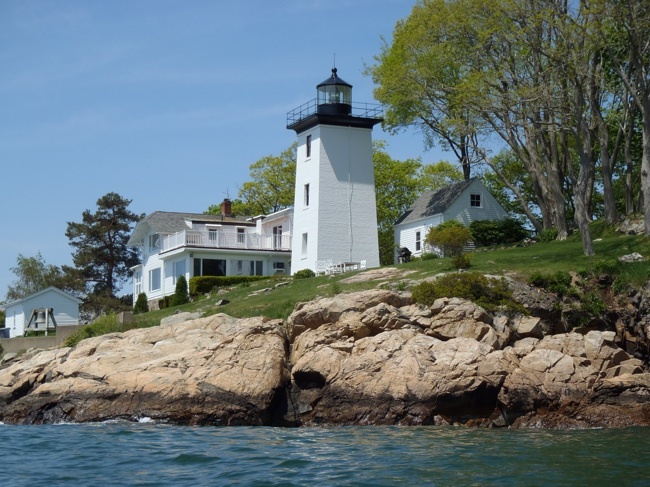 The lighthouse, in service since the 1800′s, is on the sight of a small pox quarantine hospital.